Eminence Organics celebrates their largest annual business conference July 20 through 22. This dynamic, yearly event unites over 200 Eminence team-members from around the world for three days of education, knowledge sharing, and celebration. Held in Vancouver, British Columbia the conference is designed to celebrate company wins and galvanize growth for the next 12 months. The Center, they learned about the remarkable programs, counseling, and services provided for children and families in need. Learning that the skin care, makeup, and grooming products needed as part of the center’s Girls’ Self-Esteem Class were acquired “catch-as-catch-can,” Beck committed to design and gift custom, complete, age-appropriate kits of full-size products to accommodate the self-care teaching and post-classroom needs of each girl in the program. Spring 2018 marks 10 consecutive years of fulfilling this commitment. In addition, the company became a supporting sponsor of multiple Sinatra Invitational Fashion Show/Luncheons and anniversary events, providing hundreds of personal gifts for each, as well as deluxe door prizes and silent auction gift boxes for Mrs. Sinatra’s guests. 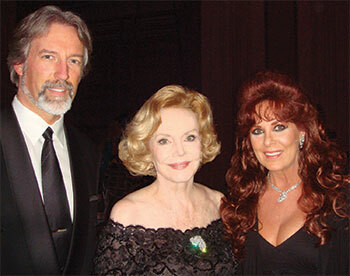 Though all involved are greatly saddened and missing the beautiful Barbara Sinatra, since her passing in 2017, her legacy lives on, perpetually, through the existence of The Center. Make My Day Beautiful!® is committed to supporting The Center in all ways possible. 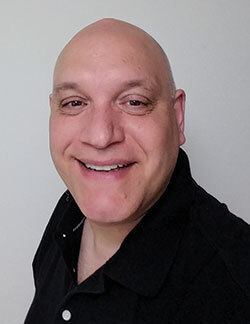 Former Hand & Stone Director of Training, Doug Elman, joins Saltability – a spa industry vendor providing quality Himalayan salt stone treatments and products for spas – as the company’s director of education. Elman will work to educate spa partners on Saltability treatments, developed by spa industry veteran Ann Brown, that offer a more environmentally friendly, healthier alternative to traditional stone massage. Just in time to welcome spring, Sanctuary Spa at Sanctuary on Camelback Mountain Resort & Spa has completed a top-to-bottom refurbishment and expansion that has introduced a fresh new look and features throughout. An intimate retreat, the celebrated spa features separate women’s and men’s spas, with a total of 12 indoor and outdoor treatment rooms and a private, stone-walled outdoor treatment room called Sanctum. 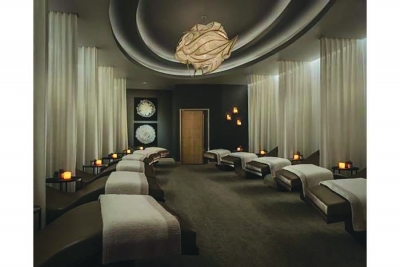 Sanctuary Spa’s inspired redesign is the work of interior designer Lynne Beyer. Mark Philp, of Allen + Philps Architects, is the project architect. Bioelements professional skin care is excited to announce the creation of a new advanced aesthetics initiative for 2018. Bioelements Pop-Up Education will bring the skin care company’s sought-after advanced education to select aesthetics institutions across the country. The New Age Spa Institute (NASI), a fully accredited school in Illinois that teaches to the highest standards and was founded to provide state-of-the-art education, is the first Bioelements Pop-Up Education partner school. Make Scents Natural Spa Line is pleased to announce a partnership with The Spa Mart. Powered by a community of millions, The Spa Mart is a wholesale distributor exclusive to the spa, wellness, and salon and spa education industries. The spa distribution company, headquartered in Georgetown, Texas, is dedicated to creating solution-driven partnerships that develop a culture of giving, gratitude, and valuing people. Industry leader and founder of CA Botana, Dr. Dieter Kuster, passed away unexpectedly at the beginning of March 2018. Kuster was affectionately known as the “Einstein of Emulsion Technology.” With glowing skin and not a wrinkle or line on his face, he was his own best example of his innovative skin care research, which resulted in many new or advanced products and treatments. Kuster was young at heart, in appearance, and demeanor, but also in his business approach. Always the scientist, Kuster was continuously investigating new, or better, formulations. One of his breakthrough achievements was the development of the highly-acclaimed Molecular Penetrator Alphasomes, an advanced delivery system to increase product effectiveness. Other pioneering work included target-specific enzymes and superior peptide technology. 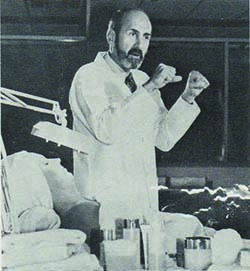 Throughout his more than 50 years in the cosmetic trade, he developed over 4,000 products. He conducted clinical trials and product testing and was an internationally sought out lecturer in his field. Kuster was published in numerous trade publications and was the subject of many magazine and newspaper articles. 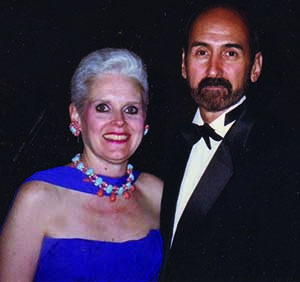 Kuster’s life was an authentic success story. Time and again, he triumphed over hardship and sorrow. His optimistic spirit and can-do attitude kept him moving forward in life and business in a positive direction. Kuster leaves behind an incredible legacy of personal and professional achievement. He will not be forgotten. On January 31, 2018, we gathered together to celebrate the life of Joel Gerson – my friend, my colleague, and my neighbor. He passed away at age 83 after a wonderful life and groundbreaking career in aesthetics. 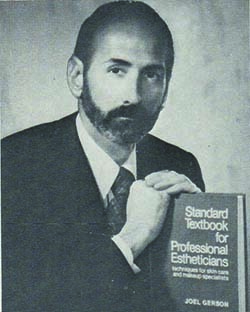 Joel’s textbook, “Milady’s Standard Textbook for Professional Estheticians,” forever changed the field of aesthetics. He was among the first to put the industry’s practices down in text, which provided benchmarks to be followed. In doing so, Joel wrote so much more than a textbook – he created direction and standards that may have shaped the industry. Without his work, the field may not have become what it is today. Joel’s brother, Richard, organized the gathering that celebrated his life. 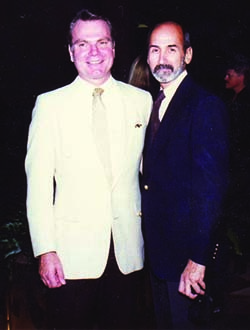 Although Richard lived in California, he and Joel remained close their whole lives. Naturally, Richard hosted the celebration in Joel’s apartment building on 73rd and Madison in Manhattan. It was there that Joel happily spent his last days. He never missed one of the building’s weekly Wednesday Happy Hours in the special event room, where he socialized with all his neighbors and friends, while his friend Scott played the piano. Scott returned that evening to play for all of us one last time, along with colleague Paul Dykstra, CEO of Chicago Cosmetologists, who flew in especially for the occasion. 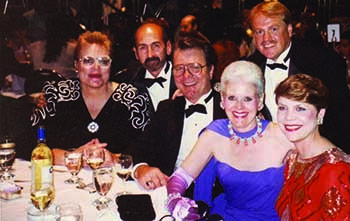 The crowd in the room that evening was a “who’s who” of the aesthetics industry. Susanne Warfield, executive director of the NCEA, was there celebrating the life of our close friend. 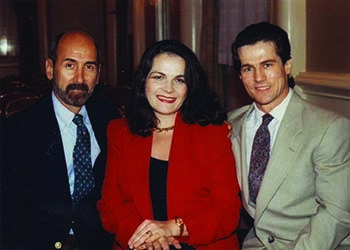 For years, Joel and I got together with Susanne to celebrate our birthdays at Capsouto Frères, an old restaurant downtown, by sipping on dirty martinis at the bar before discussing the latest advancements in skin care over dinner and chocolate soufflés. Even after his retirement, Joel’s passion for the field never waned – and neither did his penchant for a colorful comment. Conversations with Joel were always entertaining and his sharp sense of humor left an impression on everyone he met. I was caught off guard and broke into laughter, forgetting any apprehension I may have had about addressing the group. Thanks to Joel and his quick quip, I was immediately both knocked off balance and flushed with confidence. At the time, I was surprised, but looking back, I should have expected that from him. Joel always kept everyone on his toes with his wit and he had an amazing way of genuinely building up others and helping them succeed. Lydia Safarti, owner of Repechage Skin Care, spoke about her friendship with Joel. Joel was there to share her joy when her two daughters got married and to support her when her parents passed. For Lydia, Joel was a friend who became family. A couple of instructors from the Christine Valmy Esthetics School were also in attendance. Joel was one of the first skin care teachers at the school when it opened in 1965, which made it especially meaningful that they came to pay their respects. Joel, like I, wanted standards in the industry. Without a license and guidelines, there could be no profession. 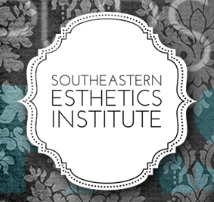 As the science of aesthetics progressed, and, especially, as it became more medically-advanced, education and licensure became a must. Partly because we shared that passion, and partly because we purely enjoyed each other’s company, Joel and I had a standing Sunday brunch date for years. I also had the pleasure of hosting Joel many times as a guest lecturer at Atelier Esthétique; and each time, my students were fascinated by his personality, knowledge, and passion for teaching about skin care. While Joel slowed down a bit at the end of his life, he remained as involved as he could in the field for as long as he could, simply because he loved it. He loved the people, the business, the science, and the developments that continued to be made. For me, Joel’s passing has left a void in the industry almost as large as the wonderful impression he made on all of us during his life. Joel Gerson lived a few blocks away from where I had my first office and spa on the upper east side of Manhattan, before I moved to California. When we met, I didn’t know who he was because I had recently moved from Paris to New York. One afternoon, Joel walked into my brownstone’s retail store with an endearing smile on his face. The place was crowded. He walked straight to me, introduced himself, and said, ‘I’m Joel Gerson and I’m on the cover of this magazine,’ [holding up DERMASCOPE]. 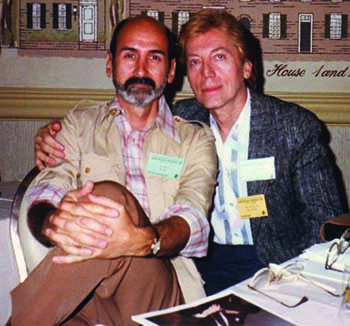 In that moment, I met both a man with whom I would have insightful conversations for years to come who helped elevate our industry, and DERMASCOPE – the magazine that influenced our industry so much. NovaLash’s annual LASHOff was held in Houston, Texas in 2018. 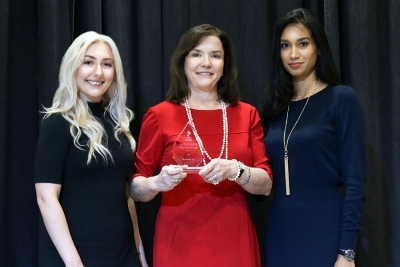 At the event, the Lash Artist of the Year was selected – an honor bestowed on the top eyelash artist from the company’s international roster of eyelash extension professionals. Finalists for this award submit a collection of videos and photographs to showcase skill and an eye for giving clients the perfect NovaLash look. Tonje Fjeldberg Elshaug of ĽAlfáz del Pi, Spain was named 2018 Lash Artist of the Year. “To win Lash Artist of the Year is truly my dream come true,” Elshaug said. “It makes me feel that anything is possible. If you never give up, have big dreams, and work hard, you can achieve your dreams.” As Lash Artist of the Year, Elshaug will receive over $25,000 in cash and prizes as well as advertising, marketing, and travel opportunities with NovaLash. In 2022, a new commercial hub for companies from the cosmetics industry will be erected in Pascalstrasse, a business park in Aachen, Oberforstbach, Germany. Janssen and Inspira are building an office building there as a multipurpose hall for packaging and shipping cosmetics. In this building the products will be shipped to consumers as well as spas in Germany, France, and England. Janssen Cosmetics GmbH has been based in this area since 2000. The company is a worldwide distributor of cosmetic products for beauty salons and spas and currently employs 34 people. As the company grows, two new buildings will be added to the present headquarters in Aachen Oberforstbach – an administrative building, with a new training center, and a building for logistics, in order to meet the demands of an increasing number of shipments. This development, along with increasing sales, will create more jobs in the area and a collaboration with the regional, economic-development program, Regionales Wirtschaftsförderungsprogramm (RWP.NRW). As of this month, natural and organic, professional skin care brand, Eminence Organic Skin Care, has reached a momentous mark, having planted 10 million trees through their successful Forests for the Future program. Since 2012, Eminence has planted a tree for every retail product sold. The trees are planted through the brand’s Forests for the Future program, which helps train farmers in developing countries on how to build productive and sustainable Forest Gardens. The development of these Forest Gardens in rural communities empowers local people to restore their environment, grow their own food, and build a sustainable income and future their communities. Eminence is proud to contribute to the development of these Forest Garden Projects. A single tree produces approximately 260 pounds of oxygen per year, while also providing a habitat for biodiversity and helping combat climate change. During the month of October 2017, RevitaLash Cosmetics elevated its year-round support of breast cancer awareness and research by introducing a special campaign and partnership with Look Good Feel Better. The organization offers beauty techniques to women with cancer to help them feel empowered and confident as they go through cancer treatment. Look Good Feel Better received a portion of proceeds from the sale of each pink-packaged RevitaLash Cosmetics product sold in October. “We are proud, and honored,” said CEO and founder of RevitaLash Cosmetics, Michael Brinkenhoff, M.D., “to know our products can help make a difference in women’s lives and benefit the wonderful services the Look Good Feel Better Foundation is providing to help women with cancer feel beautiful and confident as they go through this difficult time.” Louanne Roark, executive director of the Look Good Feel Better Foundation said, “We are thrilled to have partnered with RevitaLash Cosmetics. Their generous donation will help us serve more women with cancer through our free workshops, at home, online, and virtual services. We are grateful for RevitaLash Cosmetics’ belief in and support of this extraordinary program that gives women a renewed sense of hope, control, and normalcy in a situation that is far from normal.” Philanthropy is at the core of the RevitaLash Cosmetics’ brand. They strive to instill a sense of hope into those struggling with cancer. Pevonia International, LLC is seeking a national director of education. The national director of education (NDOE) is a brand ambassador for Pevonia International, LLC and its related brands. The NDOE is responsible for hands-on management, support, leading, mentoring, and coaching of corporate educators and direct sales account executives. In addition, the NDOE participates in and supports sales, marketing, and educational programs and objectives. Examples of this include: new account campaigns, new product launches, promotions, educational classes, attendee certifications and incentives programs, trade shows, state board visits, regional meetings, and national sales meetings. 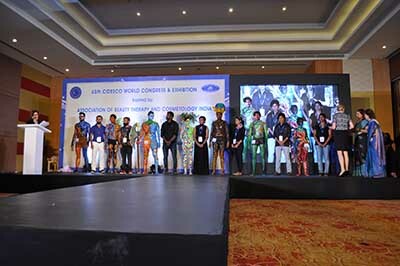 CIDESCO, the world standard for beauty and spa therapy, announces the results of its annual makeup and body art competition, which took place in September of 2017 at the 65th CIDESCO World Congress in Mumbai, India. Open to both students and professionals, and designed to identify and reward the world’s most skilled and creative makeup artists, the competition delivers awe-inspiring results year after year, with the quality and creativity of work produced increasing each time. This year’s entrants were tasked with creating unique looks on the theme of Five Elements of Nature. Supporting the wider theme of the congress, Nurture through Nature, the makeup competition allowed artists to create theatrical, full-body artworks that drew inspiration from the earth’s most beautiful, natural components. Entrants celebrated the power and volatility of nature with their artwork. Winning the student category was Bhushan Sutar, with his subject, The Importance of Being in Nature. Runners up were Manisha Gauhane, with Creation of the Universe, and Swati Vangi, with Water and Fire Disaster. In the professional category, Kiran Manjrekar took first place with his subject Mother Nature. Runners up were Jiten Giri, with Pancha Mahabuta, ― a Sanskrit term meaning “five great elements,” and Ashish Galande, with The Relationship between the 5 Elements of Nature & God. The winning artists created dramatic body art using props, prosthetics, exceptional-quality makeup, and hairstyling to enhance their ideas. The competition called for all areas of the body on display to emulate the artist’s theme within a five hour period. The artists then presented their work on stage accompanied by music they selected themselves to support the concept of their art. The judging panel was made up of some of CIDESCO’s most experienced professionals, including Godard Koremans, Joma de Roos, Julie Lew, Julia Leone, Jyotsna Thopte, and Beverley Crowther.